If you're in search of a new place for coffee, crepes, or Mexican-inflected breakfast and brunch fare, look no further than this new cafe. Called Mix Traditions, the new arrival is located at 800 Cortland Ave. in Bernal Heights. The house's signature sweet crepes come with Nutella and bananas, but diners can also get them in savory versions, along with omelets, breakfast burritos and chilaquiles. For beverages, you'll find cinnamon coffee, cappuccinos, and even the trendy matcha latte. The new addition has received a warm welcome in its early days, with a 4.5-star rating out of three reviews on Yelp. Aaron M., who was the first to review the new spot on December 26, enjoyed the pulled pork sandwich and chilaquiles: "The server warned us the sandwich could get messy, but it was actually sauced and presented perfectly. 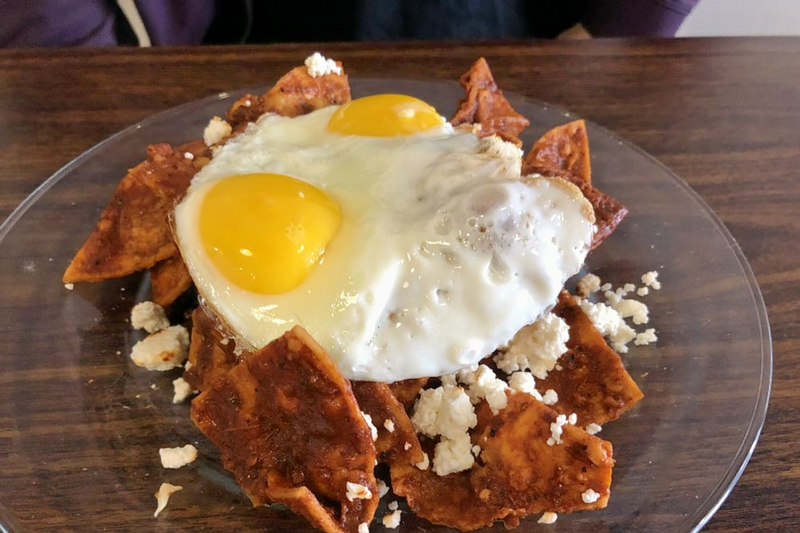 The chilaquiles were good too... I liked the bits with cotija cheese and egg on them." Yelper Jewel S. added, "Food was absolutely great. I was craving a sweet crepe and they made it exactly the way I wanted -- crispy and buttery." Swing on by to take a peek for yourself: Mix Traditions is open from 7 a.m.-9 p.m. daily.